Our dinner date keep changing and changing due to our individual busy schedules till we decided that it must materialize TODAY! We decided to walk around to look at the restaurant before deciding. Good idea coz we choose the 1st one we came upon; T.G.I. 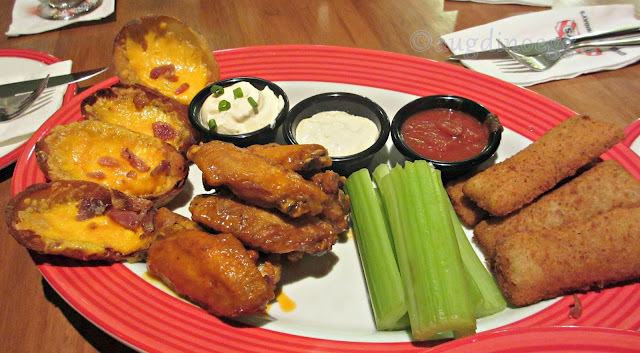 Friday's, not crowded, bad lighting, quiet but they have booth seating. Comfy n spacious for 3 of us. We quickly order our drinks and food, then settle down to catch up with things. Don't ask me how the food is coz my mind was not really on that, but my drink Gold Medalist that makes up of strawberry and banana tastes great. We had fun chatting, teasing, sharing of info etc. We made so much noise, we laughed so loud and hard that people will think these 3 ladies are high on certain drugs. I was telling them that 3 of us, with age added up to almost hit the HUGE number of 120 are here laughing & giggling like school girls, people would have roll their eyes at us for creating a scene. But who care? Aye, time passes fast when you are having fun, 2 hours zoom by and its time to go home. These kind of gatherings are great coz it perks me up but then gives me laugh lines & abdominal muscle aches from all those laughing. And here are my 1st birthday gifts, wrapped up so nicely with hearts, cupcake & pretty ribbons! 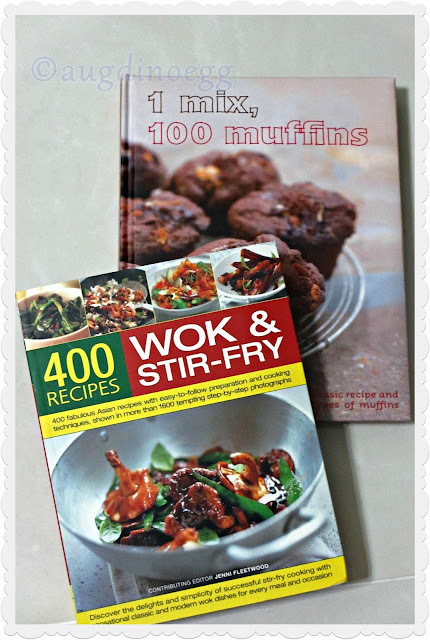 From Regina~ cookbooks! More recipes to try our hands on! Daddy took the Wok & Stir-Fry from me and eagerly flipping through it. He showed me the Beef Rendang page n say "ooo~ Beef Rendang!" I know he is going to try to cook this SOON! 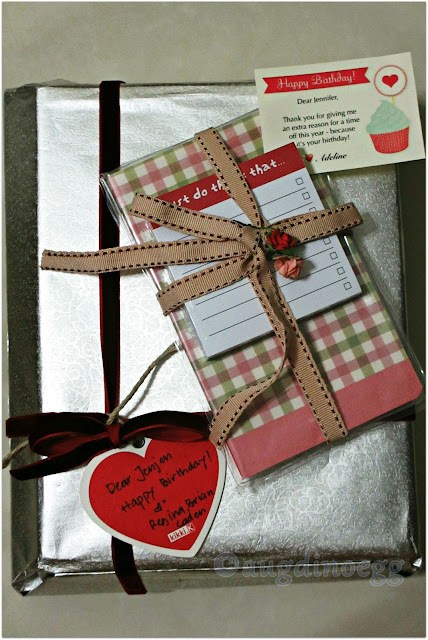 From Adeline~ Schedule Diary! I needed this to scribble important stuffs down! 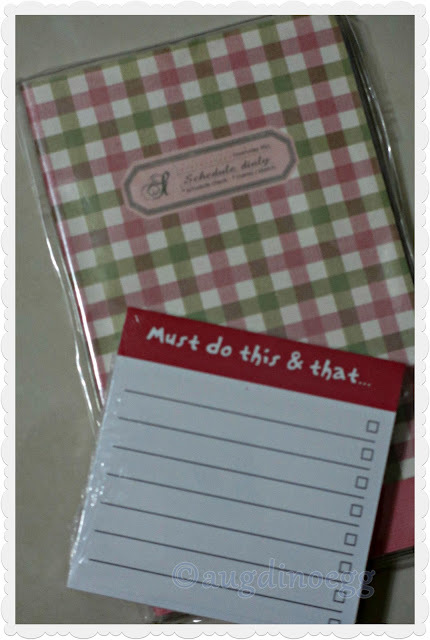 The Must Do pad is too small though coz I have too many TO DO things. Gotta ask her where she got these so that I can grab a handful of them. Thanks for the lovely dinner date ladies! So sad that Jean of Jean Stitch was unable to make it but we did not forget you! We were thinking about you throughout the dinner, wishing you were here to join in the craziness fun. Hopefully our next dinner date will not be too far away and every one will be present. 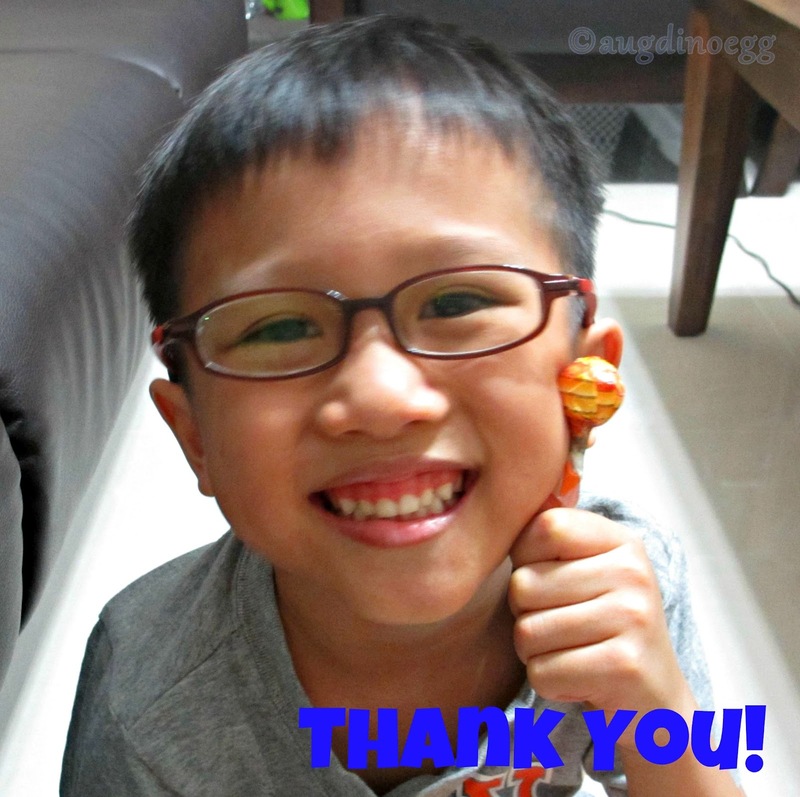 THANK YOU AUNTIE CHE CHE REGINA FOR THE LOLLIPOP! hahaha heng ah, never post up ugly photos of us. 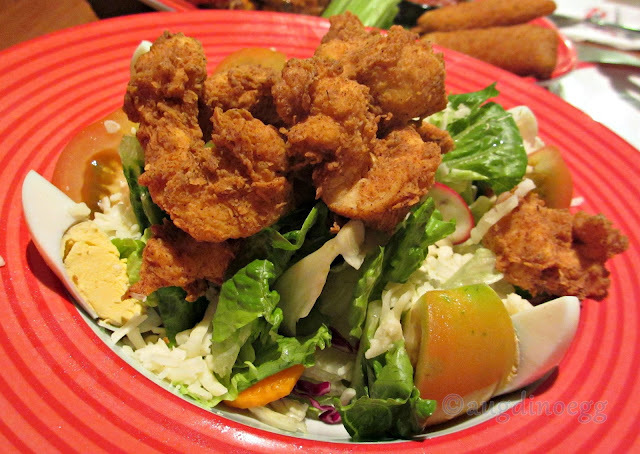 :p BTW, your chicken salad photo vely nice angle! And I want to drink magarita next time ok? It was all good fun - laugh until cry, and so many times both of you take out glasses to wipe tears lor! Abdominal workout. Happy Happy! Mosquito got plenty. More if you always kill those lizzies. sweet:-) but most i love are the mouth watering foods you serve.....yayyyyy...got starve now,. Get some food then =) Dun starve yourself.